At a recent event I was lucky enough to be gifted a box of Naturigin Cruelty Free Hair Dye. The dye only contains natural ingredients and unlike so many other brands, does not test on animals. The brand itself also supports the #BeCrueltyFree campaign within the beauty industry, which is a campaign I really respect. After hearing so many great things about the company and the product itself, I decided it was only best I try the product out. After choosing the perfect shade for my hair, I was excited to give it a go and see what the results would be. The shade I chose was 3.0 Dark Coffee Brown, which is a very natural shade and one very similar to a dye I would usually purchase. After washing the dye out I was very pleased with the results. Not only is the colour amazing, but my hair felt so soft and conditioned after using this product which is not what you usually get from a drugstore hair dye. I am very pleased with the results and I will definitely be purchasing this product again! This week I was introduced to The Bluebird Tea Company whilst attending a blogging event in London. As you may already know I am obsessed with herbal teas and green tea in particular, so this product stood out for me straight away. The teabag I chose to review was one of my favourites from the wide range of teas they provide. As I am a big fan of cocktails, and Mojitos in particular, I decided to go for the Mojitea. Of course the tea doesn’t include alcohol, but the refreshing taste is exactly the same as what you would find within the cocktail. Before even drinking the tea you can smell the refreshing flavours bursting from the bag. This tea is a blend of green tea, peppermint and lime, the perfect combination. With teas such as these you can choose to drink them hot or cold. I chose to drink my hot seeing as it was a chilly day and a hot tea always seems to wake me up in the morning. This tea definitely did the trick. The fresh taste which is revealed from this amazing tea bag allowed me to start my day off perfectly. I am very pleased with this tea and I will definitely be bulk buying my next lot. If you are looking for a change to your regular green tea, or just looking for a refreshing tea, then I would definitely recommend trying The Bluebird Tea Company. They have a wide range of teas to suit different tastes and I am sure you will find something you love. I haven’t posted anything for here for a very long time and I could make all sorts of excuses about the amount of uni work I’ve had and how I spend all my spare time at work, but the truth is I completely forgot I even had a blog (embarrassing I know). One thing I have been doing though which I felt was important to share with you all, is trying to read all of the books on my bookshelf. Emphasis on the word trying as it’s very hard to read them all, especially as I constantly seem to buy books and forget that I actually have to read them. One in particular which I purchased last year whilst at University is The Body Book. This is Cameron Diaz‘s book and I didn’t buy it because I am a huge fan of her or anything, it was actually recommended to me by a friend. In fact, I know a lot of people who bought this book and I am not entirely sure they read it all, but I managed to finish it the other day. When I first got this book, I hoped it wouldn’t be the same as some other silly ‘diet‘ books which I have came across. Luckily I was right. This book honestly not what I expected it to be. It focuses a lot on how the body works, along with information and advice on health and fitness, all which is based on her own life experience. I enjoyed this book as it did not seem as if she was telling you that you had to do something in order to be happy with yourself, instead she explained what was best to be a healthier and happier you. This book is good as it gives advice on life, not a set of strict instructions to gain your dream body. My favourite part of the book was Part Three. This section is labelled ‘Mind‘ and focuses a lot on relaxation. She explains ways in which you can be at peace with yourself and generally happy in life. I felt by this point that I had gained a lot of trust in Cameron, mainly because I underestimated how knowledgeable she is. I feel horrible saying this but she is also a lot more intelligent than I ever had imagined, the knowledge she shares throughout the book is amazing. After reading this book I felt determined to have a lifestyle like hers, obviously I wouldn’t become a famous actress, but she seems very content with her life. This book has helped me gain a lot of respect for Cameron Diaz and I definitely recommend it – you can even borrow my copy if you wish! I have always thought of doing a detox and in the past I have done quite a few by following gym plans and other methods, but after a few people recommended doing a teatox I thought it would be interesting to try it. Anybody who knows me would tell you that I love tea. Whilst at University one of the only things that you would always find in my cupboard is tea, so doing a detox which involved drinking tea sounded perfect. Whilst looking for the right ‘teatox’ I read many reviews on a range of different brands, one which stood out to me in particular was Bootea. The results seemed realistic and there were no real horrific side effects, which I did seem to find in other brands. Bootea costs a little bit more than many of the other teabags which you can buy, but this made me think that maybe that would mean that it would work a lot better than the others. A friend of mine had also recently finished doing the 14 day teatox and had told me that she had great results. This gave me the push I needed to go out and buy myself some (along with just being paid from my new job). With Bootea you can either buy a set of 14 day and night teabags, 28 day and night teabags or even just day teabags for people who don’t want such of an intense detox. I decided that I would start off by trying the set of 14 day and night teatox and hope for the best. The teabags came at £20 from Holland and Barrett, which seems a bit pricey compared to the other teabags, but by paying the little extra it meant that I was hopefully guaranteed to see some results within the two weeks. When you buy the teabags you have the option to go online and follow the Bootea eating plan which helps get maximum results. I decided to follow the eating plan as much as possible, but I did swap some of the fruit and vegetables mentioned for others which I liked a lot more. But as long as you follow the basic plan I don’t really think it matters too much. One thing which did surprise me at first was that they ask you to stop eating any meat apart from fish. I thought that this would be hard but it’s actually really easy and I hardly even noticed that I wasn’t eating any other meat. 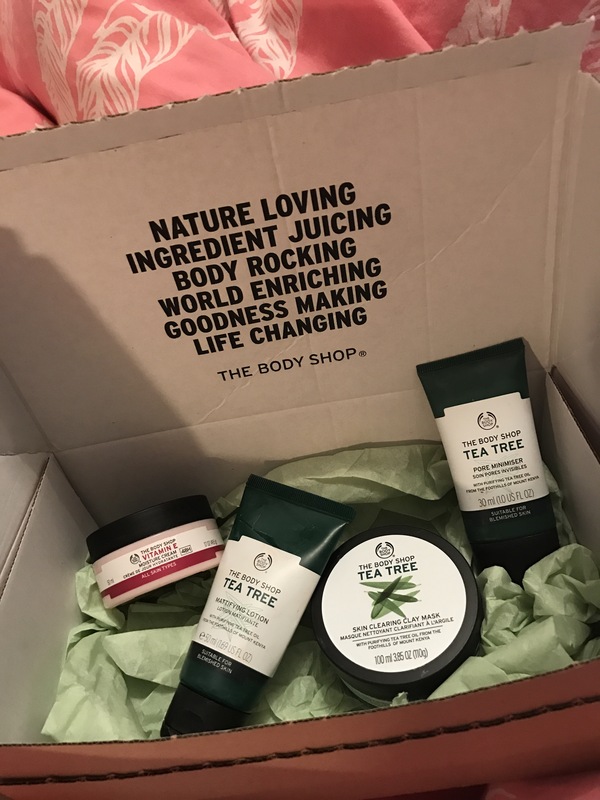 I actually have two days left of my teatox but I felt that I would write the review early as I know that I will be busy with moving back to University and would be really busy. I don’t really think that there will be much of a change within the next two days anyway, plus I am actually really happy with the result so far. After completely 12 days of Bootea I feel like I have a lot more energy than I did before. When I first started I decided to not weigh myself until the very end, but curiosity got the better of me. Since starting the teatox I have lost just over 8lbs! It’s also helped my skin clear up a lot, which I always have problems with. I am actually really glad that I decided to purchase this tea and after freshers week I will definitely be buying another set. If anyone wants to try a new way of detoxing, I recommend that you buy Bootea.